The Islamic State of Iraq and the Levant’s (ISIL) meteoric rise in 2014 took many observers by surprise. ISIL is just one factor in the incredibly complex conflict in Syria and Iraq. Iran and the US, who have been enemies for decades, are both supporting the Iraqi government while supporting opposing forces in Syria. Turkey has sent troops to support Kurdish forces in Iraq, yet is bombing the Kurdish militias in Syria. One cannot look at the conflict in either country or against any one group independently, it is all part of a whole. Below is the third part of a three part series giving a background on ISIL in the context of the conflict in Syria and Iraq. The first section was a history of ISIL and a biography of their leader, Abu Bakr al-Baghdadi. The second part examined the various groups and countries that are active in the conflict, to educate the reader as towards who is fighting and why they are fighting. 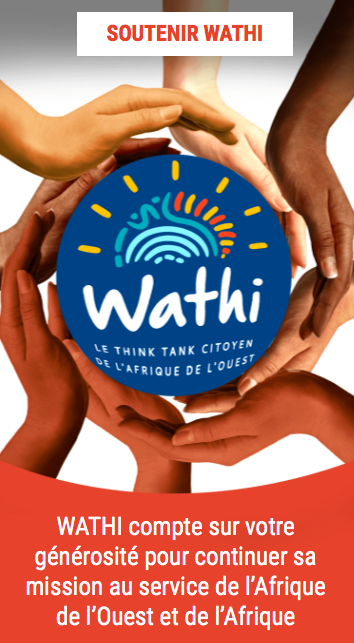 The third part will examine ISIL’s impact in the world while keeping a focus on the WATHI zone (ECOWAS +3). It is wise to educate ourselves about a war that directly affects the lives of millions of people around the world and has already spread well beyond the borders of Iraq and Syria. When talking about ISIL’s income, exact numbers are hard to find. It is estimated that the group earns over $1.5 billion per year, mostly through oil sales and taxes. ISIL is trying to act like any normal government within the territory it controls. ISIL charges for electricity and water use, making residents pay a monthly fee. ISIL taxes farmers a percentage of their product which can either be paid in goods or money and ISIL charges market sellers a monthly rent for their stall. ISIL also charges import fees to anybody who brings in goods into or through territory they control. When the fee is paid, a receipt, complete with logo and seal, is given granting safe travels throughout their territory. Like other governments, ISIL also charges fines for improper behavior, so an offender might get sentenced to 15 lashes and have to pay a fine as well. Taxes, fees, and other state-like incomes are thought to be by far the largest source of income for ISIL ($800-$900 million per year). The other main source of revenue for ISIL is oil smuggling ($500 million per year). ISIL controls several oil wells in Syria and Iraq. They briefly took the major town of Baiji in Iraq. The oil refinery was the location of the most intense fighting during the 11 month long battle for the city. After oil is extracted it is packaged into tanker trucks and sold on the black market in Turkey and to the individuals linked to the government of al-Assad. ISIL sells oil at below market prices to anybody and everybody, including groups in which it is in active conflict, like the Iraqi Kurds, the al-Assad government, Turkey, and other anti-Assad rebels. The US has recently placed sanctions on Syrian and Russian businessmen who are thought to be middlemen in ISIL’s oil trade. Until recently the US government has chosen not to bomb ISIL oil convoys because the drivers are thought to be civilian truck drivers. Now, prior to an airstrike, leaflets are dropped warning the drivers to leave the area. As of now official US policy is to not attack the oilfields themselves. This is because the oil fields will be needed to fund a viable Syrian state after the civil war is over. Economists think that ISIL has set up an elaborate money laundering system within Turkey to bring the money back without causing the rampant inflation that would be expected in such an economy. The sources of income more traditionally associated with ISIL, looting, smuggling, kidnapping, private funding, and the black market sales of antiquities are minor sources of income. When ISIL took Mosul, they not only stole two army division’s worth of equipment, but also $675 million from the bank of Mosul. While the absolute dollar amounts of these other endeavors are large, they are not the main source of revenue for the organization. Prior to establishing itself as the self-proclaimed Islamic State, ISIL was Al Qaeda in Iraq (AQI). As AQI, they led a brutal campaign against Iraqi Shiites and other Sunnis. AQI’s head, Abu Musab al-Zarqawi was castigated by Osama Bin Laden and Ayman al-Zawahiri for his brutal methods. AQI’s methods were so bloodthirsty that they contributed to a revolt of Sunni tribal sheikhs starting in 2005-2006 which ultimately led to the Sunni Awakening and the US Surge in 2008. The Surge was a temporary increase in US Soldiers which combined with a change in tactics was supposed to lower the levels of violence to a level where political reconciliation could take place. According to Iraq Body Count (a NGO which has been tallying deaths in Iraq since 2003) between 2012 and 2014 an estimated 31,413 civilians have been killed in Iraq, which is when the conflict with ISIS started to heat up. 1,748 civilians were killed by Iraqi military air strikes, 4,325 were killed by ISIL, 118 by Coalition air strikes (this number is disputed, the US government claims to have only killed 2 civilians due to air strikes), and 10,858 civilians were reported as killed by unidentified actors. Unidentified actors can include Shiite paramilitary forces working with the Iraqi government and trained by the Iranian Revolutionary Guards Corps- Quds Force (IRGC-QF). Most civilian deaths are in Baghdad and Anbar provinces, Anbar province is considered to be the Sunni heartland and claims Fallujah and Ramadi as major cities. With regards to combatant deaths, estimates range from 4,000 to 30,000. The 4,000 is thought to be a very low number, the US Government claims to have killed over 10,000 ISIS fighters alone, while the 30,000 is thought to be an unreasonably high number. Ultimately, everybody who is not part of ISIS is threatened. In Iraq, the Yazidis have faced the gravest threat with US Secretary of State John Kerry saying that ISIS’s actions “bear all of the warning signs and hallmarks of genocide.” Yazidis are ethnically Kurdish, but practice an older religion which involves worshipping an angel who refused to submit to God. Because of this, ISIS has particularly singled them out because they are viewed as Devil Worshipers. Iraqi Chaldean Christians who live in ISIS occupied areas are forced to convert to Islam, pay a tax, or face death by sword. Shiites have been labeled as infidels by ISIS and in June 2014 ISIS boasted that it killed at least 1,700 Shia Muslims in that month alone. Other religious and ethnic minorities such as the mostly Shiite Turkmen are also under threat. Lastly Kurds have suffered greatly at the hands of ISIS. Kurdish border regions in both Syria and Iraq have been fiercely fought over by ISIS and the Peshmerga. The Peshmerga are the Kurdish paramilitary forces who first fought against Saddam Hussein in the 80’s and 90’s. Peshmerga is a Kurdish word for- those who face death. Everybody who does not conform to ISIS’s radical view point is under threat. According to the Violations Documentations in Syria and the New York Times, it is estimated that over 200,000 Syrians have died in the last 4.5 years. Of which over 28,000 civilians have died in shootings and mass killings, over 27,000 have died from rocket mortar, rocket, and artillery strikes, and almost 19,000 have died from Syrian government air strikes. In May 2015, there was an average of 50 civilian deaths per day in Syria. On average 70% of the deaths in the Civil War are civilians. Physicians for Human Rights claims that the Syrian government has specifically targeted medical workers killing an estimated 687during over 300 attacks on hospitals. The Assad government has also used starvation and denial of medical care as means of wars. Since declaring itself to be the Islamic State in June 2014, ISIL and groups aligned to ISIL have carried out over 50 terrorist attacks, in 18 countries, leading to the death of 1,100 people. Most of these international terrorist attacks occurred in the Middle East and North Africa, although some of the more notorious attacks, to include the Paris attacks in November 2015 happened in Europe. Some of these attacks have been well coordinated and resourced and originated within ISIL itself. Some are from people who have self-radicalized and decided to launch attacks on their own volition with no coordination or leadership from ISIL. Others are well resourced and coordinated but from ISIL affiliated groups who only have nominal ties to ISIL’s central leadership. These attacks can be incredibly sophisticated involving multiple improvised bombs and shooters in multiple locations, or they can be as rudimentary as a one man knife attack. There is debate within the security community as towards why ISIL is carrying out these attacks. Turkey only began a military campaign against ISIL after they group carried out several horrific bombings in Turkey over the summer on 2015. This is the same with France. Terrorist attacks are about the “propaganda of the deed” and always have a political motive. Reading ISIL propaganda and literature, ISIL wants to force further involvement of the West against them, leading to a culminating battle in the Syrian town of Dabiq (which is also the name of their English language propaganda magazine) where ISIL will defeat the West and usher in the apocalypse. Others doubt that ISIL is truly the millenarian and apocalyptic organization that it claims to be and instead think their international terrorism is about sowing fear abroad and gaining recruits. Outside of Syria and Iraq, ISIL’s presence is felt the strongest in Libya. After the fall of Gadhafi in 2011, the country devolved into further violence between militias. Libya has a long tradition of international jihadism, Libyans often went to Iraq during the US occupation to wage war against the US. Many also joined ISIL in Syria and Iraq, while others stayed in Libya and formed Islamist militias. When ISIL declared itself to be the caliphate, these groups swore allegiance to ISIL. ISIL linked militias have carried out beheadings of Christians and are responsible for several terrorist attacks in Tunisia. ISIL linked militias control territory in Libya and since November 2015 have launched a campaign to take oil terminals on the coast. There have been reports of ISIL transferring entire units of Libyan fighters from Syria and Iraq to Libya. Some think that ISIL is creating a fall back zone, so that if it is defeated in Syria and Iraq it has a location where it can withdraw. None of the ISIL death tolls include the death tolls from Boko Haram’s attacks; who were the deadliest terrorist organization in terms of casualties in 2014, killing over 7,000 people. Boko Haram pledged allegiance to ISIL in March 2015, and that pledge was accepted by Abu Bakr al-Baghdadi hailing the expansion of the caliphate into West Africa. Security experts disagree as towards why Boko Haram pledged allegiance to ISIL. The level of cooperation between both groups is unknown, but thought to be fairly low. Some have argued that it comes from a place of weakness, with Boko Haram trying to bandwagon onto a stronger group to increase recruitment and money. Boko Haram and ISIL both adhere to and preach a strand of Islam that is in direct confrontation to the moderate Sufism that is found in West Africa. Like ISIL, Boko Haram has taken advantage of a relatively ungoverned and lawless area. This area includes parts of Nigeria, Chad, Niger, and Cameroon. In its early stages, Boko Haram was able to exploit this border by freely moving fighters and resources. It has only been with sustained cooperation between the four countries that Boko Haram’s gains have been slowly rolled back. The various al-Qaeda linked groups in West Africa and North Africa have also taken advantage of weak governmental presence in the region. These groups have a long and convoluted history in the region. Some of them were briefly able to take control over large parts of Mali in 2012 which added to the military’s discontent, leading to a mutiny and a coup d’état. Order was only restored with the assistance of the French military under Operation Serval. The Radisson Blu attack in November 2015 in Bamako was carried out by a group called al-Mourabitoun, who are linked with al-Qaeda and not ISIL. 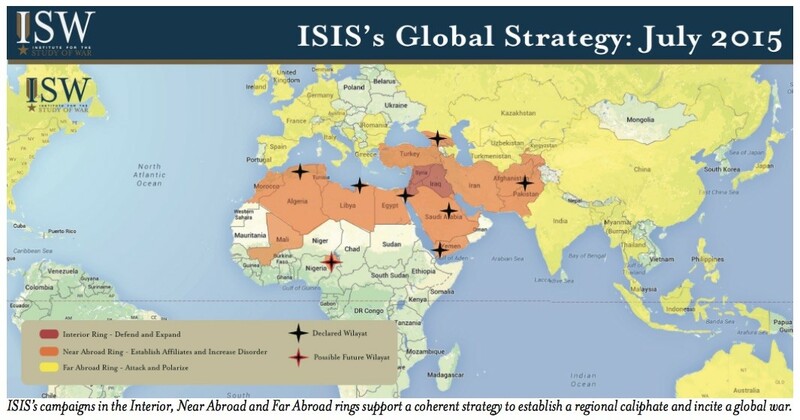 There are many other actors in the region who are active and share a similar world view as ISIL. Even though ISIL itself has remained fairly quiet in West Africa, it does not mean that they are incapable or unwilling to conduct attacks in the region. It only means that they haven’t done so yet.